We’ve been hitting 4e for almost two years now, and the guys and I have decided to try other games out for a bit. A lot of names were thrown out… Mutants and Masterminds is one that were are dying to try, but we just haven’t been able to wrap ourselves around the superhero concept, as it’s a little daunting to say the least. The chance to play your favorite late Quinquagenarian is now yours! This game came out of a licensing agreement that involved a few television shows and in my opinion, it’s the strongest one to translate. 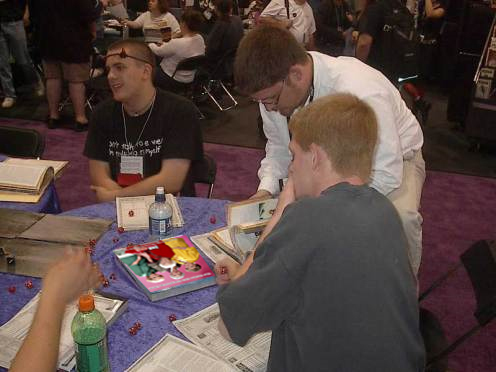 It made its debut at Pax East last week, and by all accounts it was a hit. We are definitely going to go down on the Golden Girls this year. 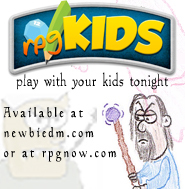 It also takes the d20 system on a whole new direction with its new Osteoporosis mechanic. Everyone at the table was singing: "Thank you for being a friend..."
Play a British Butler with a heart of gold. The “Mr. 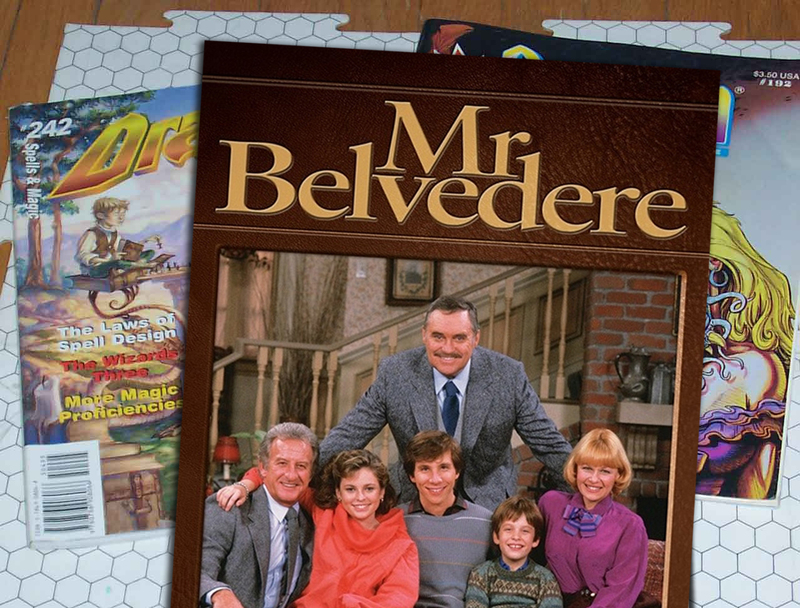 Belvedere Role-playing Game”, by the new rpg games division of Touchstone Television, promises to “let you capture the wit, charm, and heart of gold” of America’s favorite British butler. This game is not d20 based, but rather uses a very modified version of the Burning Wheel mechanic. Think Mouse-guard, but not really. The game comes in a gorgeous leather bound hardcover, and will retail for an affordable $150.00. The book looks like it'll be a collector's item. What about you all, what new games are you hoping to play this year? Who’s The Boss: CCG. Mona always wins. I’m looking forward to FAULTY TOWERS. You try to see if you can spend a whole session without Basil driving you crazy! In the 80’s I played Habitats & Humans, a game where you tried to build low cost homes, by searching for donors, and racing against giant wal-mart like companies to aquire property. Pretty fun, but we always would end up cutting corners and having the houses fall over shortly after they were built. I was looking forward to Threes Company the RPG. 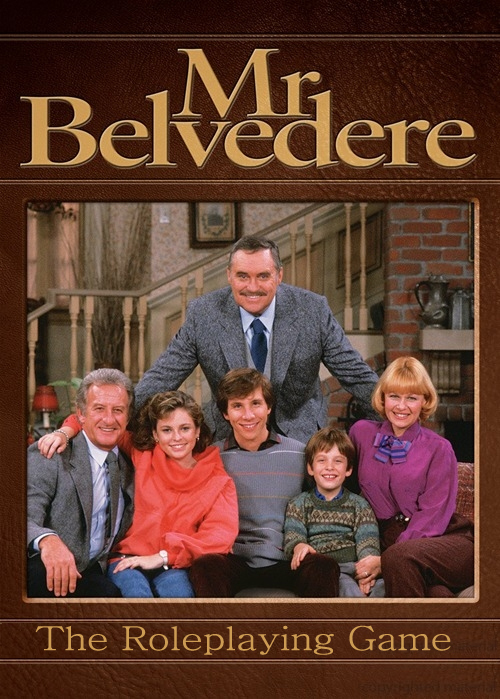 I wanted to play Mr. Roper and try and finally catch Jack at his game. M*A*S*H RPG… Comes with a kit to build your own Still…. 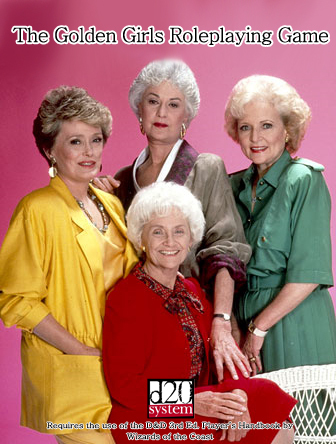 Believe it or not I think me and two of my players would ACTUALLY play a Golden Girls RPG. IS that wrong? I would totally, seriously play a Golden Girls RPG. I can’t decide if I’m Sophia or Dorothy. I would have thought Unisystem for TGG:RPG, myself. Strangely enough we never did play it – just the threat was clearly enough to ensure a return to normal behaviour.